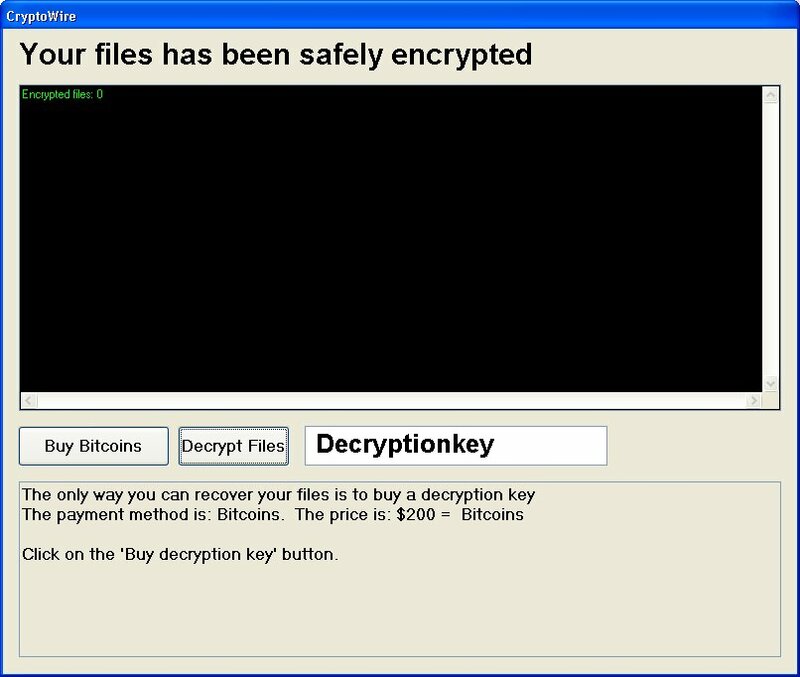 CryptoWire ransomware virus is a threat that infects users’ computers making almost all of the stored data unusable. It uses the strong AES encryption algorithm that changes the file structure and then generates a key for the decryption. The creators of this offensive crypto-virus aim to extort a ransom payoff by the victims. The ransom payment should be paid in BitCoin value. However, we advise all victims to skip the ransom payment. This article provides information about the threat, instructions how to remove it and ways to stay protected in future. Solution #1 CryptoWire ransomware can be removed easily with the help of an anti-malware tool, a program that will clean your computer from the virus, remove any additional cyber-security threats, and protect you in the future. CryptoWire ransomware can be removed manually, though it can be very hard for most home users. See the detailed tutorial below. Distribution Email Spam, and exploit kits. 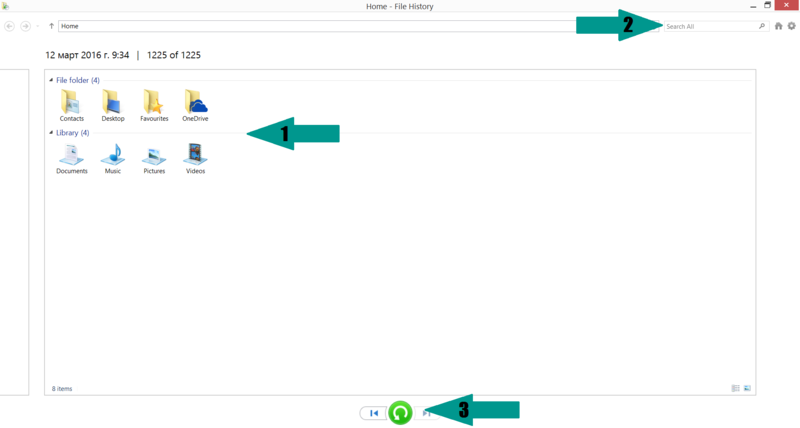 There are no specific file extensions targeted by CryptoWire, so it may encrypt all file types on the system. Furthermore, all data stored on the internal disks, external disks, network drives, USB drives, Dropbox and any cloud service that is running on the computer might be encrypted by CryptoWire ransomware once it infects the machine. There are also two buttons and a field where should be entered the decryption key. The first button offers to buy Bitcoins by clicking it and the second is to decrypt the files once the decryption key is entered. The ransomware is probably distributed in spam emails that have malicious links in the text body or attachments that have malicious files or scripts in them. Fake update notifications for software applications may also be used to spread the threat. Sometimes it could be distributed with links posted on social media posts or messages. The analysis of the threat code continues, and in case there is new information about it or a free decryption solution expect us to update this article and offer you further help. Until then we advise all victims to search for all files created by CryptoWire on the computer and delete them. The ways to do this are two. The first one is following the steps below and complete the removal manually. Try to find CryptoWire.exe file and look for other exe files that seem suspicious. The threat changes and adds some registry values that should also be completely removed. Only then the computer will normally work again. The second way is to use the help of anti-malware software. The removal process will be automatic and probably shorter. Once all files and objects created by CryptoWire are removed we advise you to make a backup of all encrypted data and wait for a solution by the security experts. Paying the ransom will serve as an investment in further malicious actions of CryptoWire creators. Furthermore, don’t forget to think about your security because as long as your devices are connected to the Internet they are exposed to risk of PUP or malware intrusion. Feel free to leave us a comment whenever you need help for any security related issue. For a faster solution, you can run a scan with an advanced malware removal tool and delete CryptoWire completely with a few mouse clicks. Manual removal of CryptoWire requires being familiar with system files and registries. Removal of any important data can lead to permanent system damage. Prevent this troublesome effect – delete CryptoWire ransomware with SpyHunter malware removal tool.